"The scene from the Kumomi cove. Twin Rocks in the foreground is called 'Ushitukiiwa'. 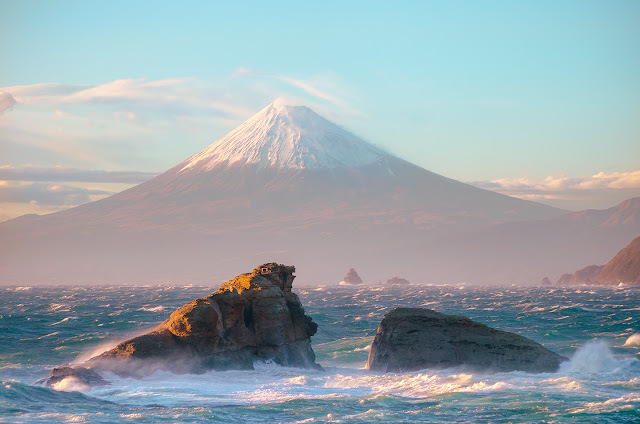 Rope is tied between the rock, that's a thing to pray for the safety of ship and port.Mt.Fuji has registered as a World Cultural Heritage on June 2013."